That the game evolved and developed into its final form at St. Andrews has never been in question—St. Andrews is the home of the game’s most influential ruling body, the Royal and Ancient Golf Club, and it was there in 1764 that today’s standard 18-hole round was established when the 22-hole Old Course was reduced. One golf course has now become seven and many of golf’s most dramatic moments, affecting the world’s most famous players, have occurred here. It has played host to the game’s greats, as well as those enthusiastic amateurs for whom the chance to play St. Andrews’ hallowed turf is a dream come true. 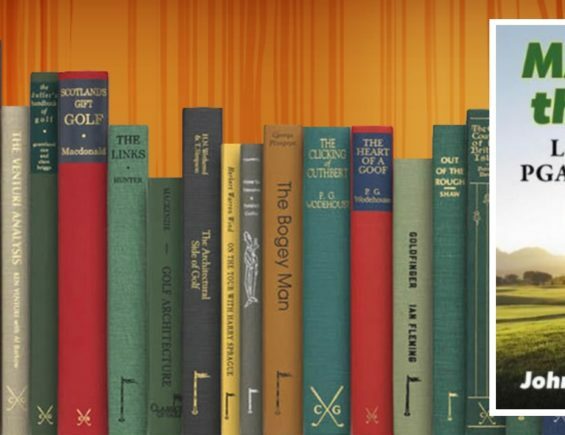 This celebratory volume of the official history of golf’s most important location was written by Tom Jarrett, a caddie, journalist, golfer, and author, and updated by Peter Mason, who was involved in managing the links throughout its most intensive—and controversial—phase of development. 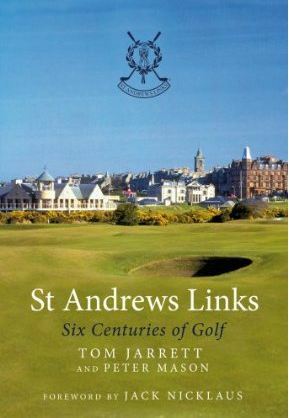 It contains many previously unpublished and rarely seen photos from the archives of the St Andrews Links Trust. Tom Jarrett was a historian and a journalist who lived all of his life in St. Andrews. Peter Mason is employed by the St. Andrews Links Trust. Jack Nicklaus won 18 Major Championships during his illustrious professional career. He lives in North Palm Beach, Florida.